I am preparing to depart for the Republic of Texas tomorrow to meet with my church security Collaborative Inquiry Team (another sociologist and two pastors) and attend a national conference on church security. Each of us on the team shared something we wrote to help the others understand where we are coming from as we approach this project. 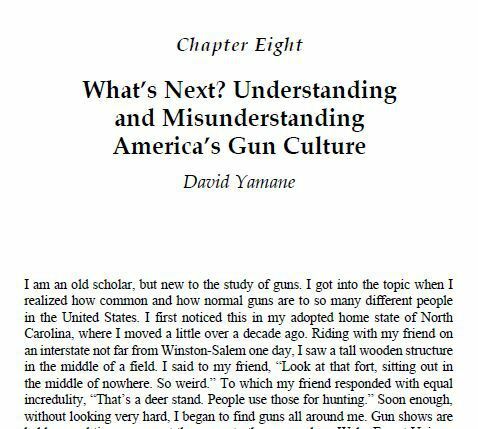 I shared my chapter in the book, Understanding America’s Gun Culture. On first read, pretty good concluding chapter. I have to think more about it. 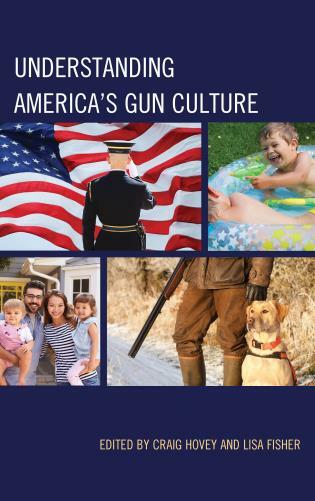 The other connection between the “good” gun culture and the illicit is the leakage of stolen guns to the underworld. I read a story recently about trains being robbed in the railyards of Chicago where whole cases of handguns were pilfered. Apparently no one was guarding the goods. p.s. Sent that chapter to my brother Rich, who lives in nearby Durham. Oh, and another thought (sorry…). Immediately when Cody Wilson’s Defense Distributed company negotiated with the USG on publishing Additive Manufacturing gun code, the left jumped on this as only being a conduit to gun crime. Again, there is a complete lack of acceptance of the idea that not only is it legal to make a homemade gun for personal use, but that more likely, the folks who will be making 3D guns are gun nuts engaging in yet one more form of gun nuttery. The hysteria about plastic guns/gun parts would be funny, if not for the fact that the politics is so damn toxic. Matthew and I have been having a bit of back and forth on this on Twitterville. I’m probably going to break down and join the SAF.